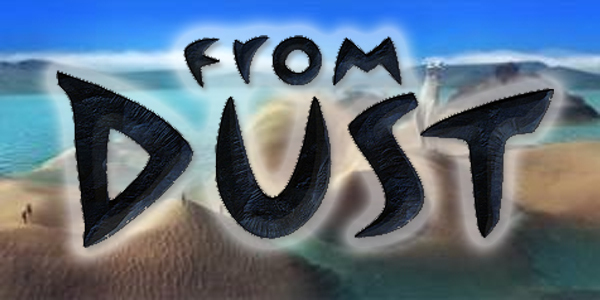 From Dust was developed by Ubisoft Montpellier and will be released for XBLA on July 26, 2011 for 1200 Microsoft Points. The game is part of Microsoft’s Summer of Arcade promotion. A copy was provided for review purposes. 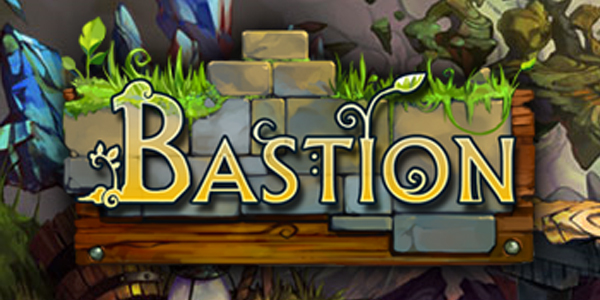 Bastion was developed by Supergiant Games and published by WB Games. It will be released on July 20, 2011 for 1200 MSP. A copy was provided for review purposes. Bastion is kicking off the Microsoft’s Summer of Arcade on July 20, 2011. 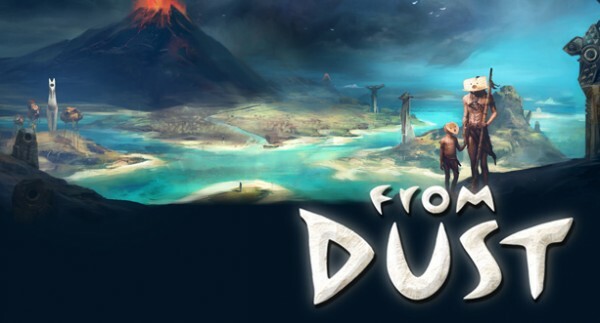 This game, the first developed by Supergiant Games, puts you in control of the kid as you make your way through the demolished landscape of the once flourishing city of Caelondia. The Calamity ripped the world apart, and the Bastion is all that’s left. The narrator tells the story of the kid as he works to gather the cores, place them into the monument, and bring more power back to the Bastion. So, is the Bastion worth re-building? Is the tale of the kid worth seeing? Is this the story worth be told? 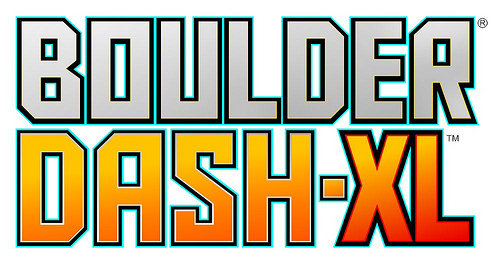 Boulder Dash XL was developed Catnip Games and published by Kalypso Media. It was released July 13, 2011 and retails for 800 MSP. A copy of the game was supplied for review purposes. If the media has taught us anything recently it’s that mining is a difficult and dangerous job. 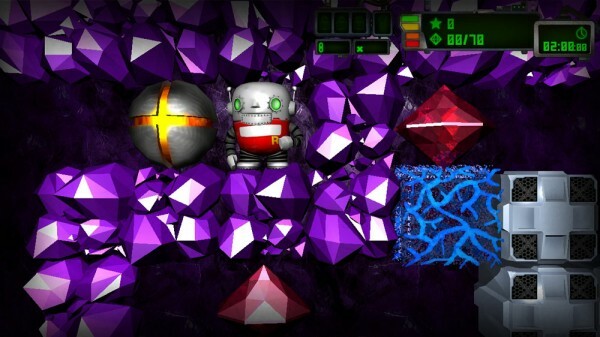 Fortunately Boulder Dash XL gives us a happy look into the future were mining is done by cute little robots. Robots Rockford and Crystal fearlessly dash into any mining situation to collect as many diamonds as possible and escape before time runs out. The whole goal of the game is to collect the loot and get out. The game progresses on stage by stage basis with over 140 levels to choose from. The action is fast and difficult at times, but it is great old school fun as well. And to add to that old school fun is a retro mode, complete with classic graphics. 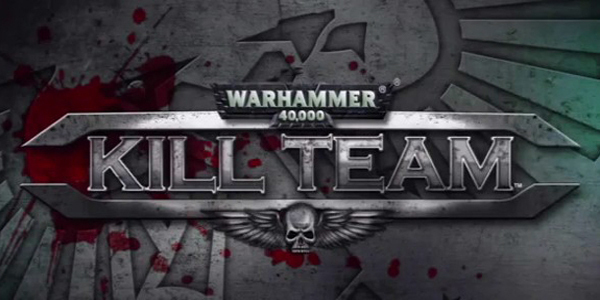 Warhammer 40,000: Kill Team was developed and published by THQ. It was released on July 13, 2011 for 800MSP. A copy of the game was provided for review purposes. Warhammer 40,000: Kill Team is an action-shooter that takes place in the Warhammer universe. Your objective is to board and halt an Ork Kroozer from reaching Imperial Forge World. Along the way, you’ll be fighting various enemies along with destroying many vital sections of the Kroozer. At only five levels, the game may seem short at first. But the replay value shines bright in the character select screen. That along with great pacing and an excellent upgrade system make Warhammer 40,000: Kill Team stand out in a way that not many Xbox Live Arcade action games have done before. Dead Block was developed by Candygun Games. It was released on July 6, 2011 and retails for 800MSP. A copy of the game was provided for review purposes. Dead Block is one of the rare games that truly defies a proper description. It has a lot of familiar gameplay elements put together in a truly unique way. Zombies and Rock n’ Roll are the two main themes of this game. It is set in the 1950’s and the new genre of Rock n’ Roll has somehow raised the dead back to life. Huh, guess all those preachers were right. Rock n’ Roll really is of the Devil. You take control of three survivors who each have a different set of skills. The idea is to rummage through whatever building you are in and find enough resources to hold off the zombies until you can find the key or piece of equipment you need. This is where the game gets weird. To finish a level you need to find a guitar and amp and play rock music to defeat all of the zombies. 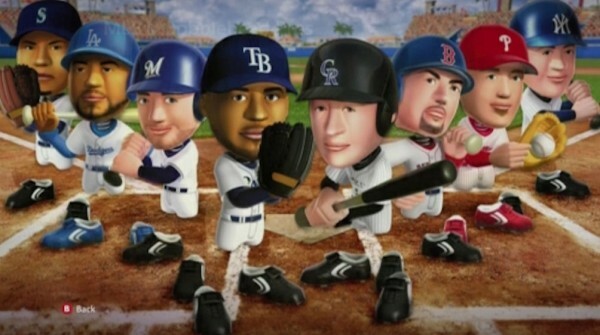 MLB Bobblehead Pros was developed by Power Pros Production and published by Konami. It was released on July 6, 2011 for 800 MSP. Not many MLB games are on Xbox Live Arcade, with only one being currently available, MLB Stickball. MLB Bobblehead Pros tries to add drollery to baseball, but unfortunately falls short of being even a little humorous. With lackluster gameplay, creepy player models and features being locked up as future DLC, MLB Bobblehead Pros is a poor attempt at making an arcade baseball game. 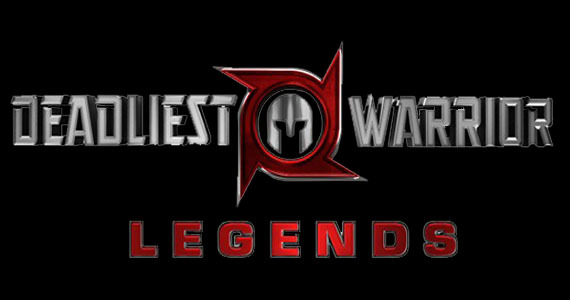 Deadliest Warrior: Legends was developed by Pipeworks and published by 345 Games / Spike Games. It was released on July 6, 2011 for 800 MSP. A copy was provided for review purposes. 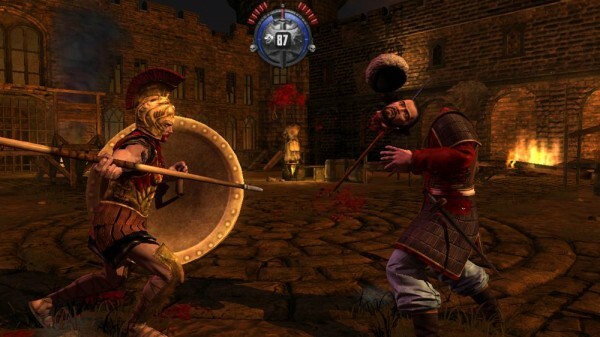 Deadliest Warrior: Legends takes all the data from the famous Spike TV show and puts it into motion at your fingertips. In this new brutal installment, we get a handful of new characters, all with their own set of armor and weapons. Throw in a completely new game mode, some unlockables and a fighting style all its own and you’re ready for a bloody date with history. 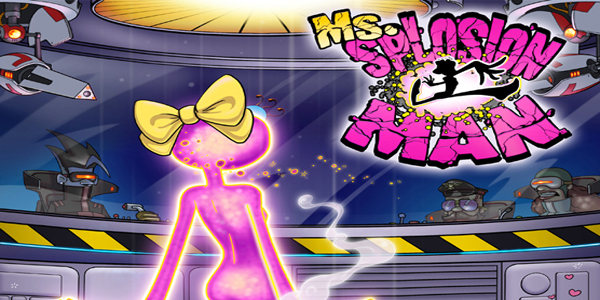 Ms. Splosion Man was developed by Twisted Pixel and published by Microsoft Game Studios. It was released July 13, 2011 for 800 MSP. A copy of the game was provided for review purposes. Putting a bow on the main character and changing the gender is a strategy that hasn’t been used since Ms. Pac-Man; but Ms. Splosion Man is so much more than a female character with bow in the same old game. It’s a continuation of the story with new gameplay mechanics, and it works brilliantly. The game begins as the original game’s protagonist Splosion Man is captured by Big Science staff. During the celebration the scientists accidentally create a female version of the imprisoned hero. She’s much more than a clone, however. She encounters plenty of challenges, toys, and villians not seen by her male counterpart. Sploding and wreaking havoc have never been so much fun, and that’s saying something. It’s an improvement on the original in every way possible. 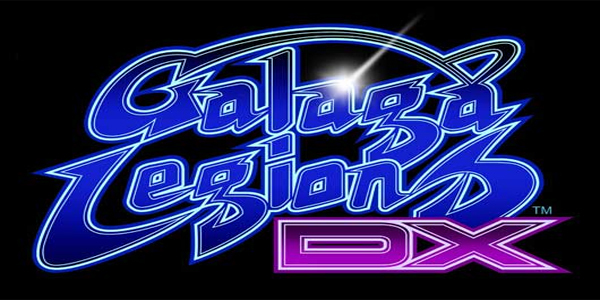 Galaga Legions DX was developed and published by Namco Bandai. It was released June 29, 2011 for 800 MSP. Namco Bandai has been giving the retro classics a new makeover with the Pac-Man series in Pac-Man Championship Edition and the Galaga series with Galaga Legions. 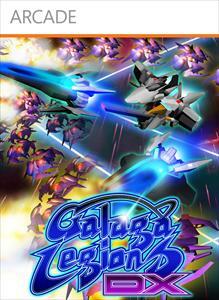 While Pac-Man CE DX came out last year to huge love, Galaga Legions DX is the next in the Namco Generations line. The basic game is shooting ships while avoiding the wave of bullets sure to come your way. Does it retain the retro charm or does it fizzle up in the dust of the past? 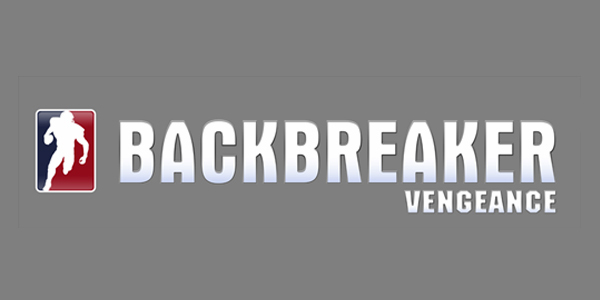 Backbreaker: Vengeance was developed by NaturalMotion Games and published by 505 Games. It was released on June 29, 2011 for 1200 MSP. A copy of the game was provided for review purposes. 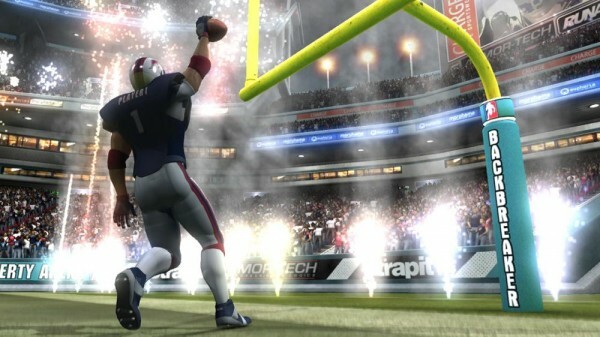 Backbreaker: Vengeance is a spin off from last year’s retail release that emphasizes on the mini game aspect. You have three modes to choose from: Tackle Alley, where you run the ball through an obstacle course; Vengeance, where you are the defender trying to stop the runner from scoring; and Supremacy, which pits you against three other ball runners to be the highest scorer. Once you pick your player, it is time to run through these different gauntlets racking up the most points possible by stringing together score pick-ups and special moves like jukes and spins on your run to the end zone.